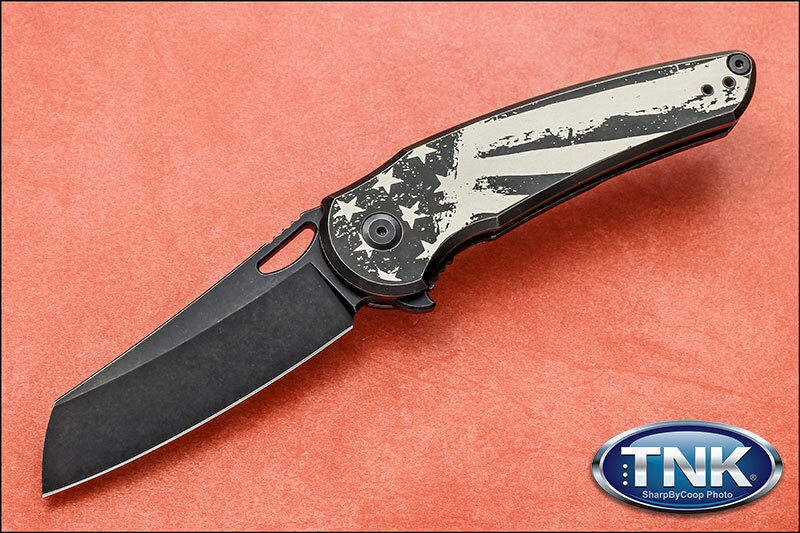 WE ARE VERY EXCITED TO WELCOME JAKE HOBACK TO THE EXCLUSIVE TNK FREEDOM COLLECTION FAMILY. The knife design itself is a modified sheep?s foot blade with a properly engineered frame set. The single point rear standoff/backspacer is large enough to handle knife stresses but small enough to allow a rather large handle to blade ratio.